Ball Caps should not only look attractive but they should also be functional. If you are looking for functional hats that provide comfort and style, then Trucker Caps are for you. 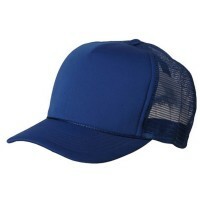 A Trucker Cap is popular and is worn by people all over the world. What once started out as a promotional give-away to U.S. truck drivers has evolved into trendy fashion accessory. Though popularized in the early 2000’s, Trucker Caps have stood the test of time, after first appearing in the 1980’s. The Trucker Cap is a type of Ball Cap that features a crown that is typically made of plastic mesh material in the back half, and the untraditional foam material in the front half. The “bill” of the cap is generally curved; however, some Trucker Caps can also have flat bills. 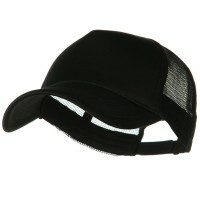 Trucker Caps offer stylishness, while also giving breathability to the head due to the mesh back. They are a great alternative to the traditional Ball Caps, keeping true to the nature of caps while at the same time offering a unique and personalized appearance. Trucker Caps have been around for decades, and due to their stylish look and practical design, they are not going anywhere anytime soon. Trucker Caps are as attractive as they are functional. Part of the Ball Cap is made from mesh that allows air to freely flow around your head thus making you cool all throughout. We have many trucker caps to choose from so be sure to browse our site. If its Classic Trucker Caps you are looking for, the Mesh Caps are perfect for you. 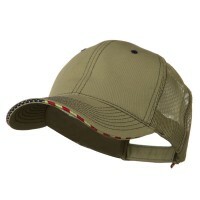 Made from polyester and plastic, it is lightweight and allows your head to breathe during the warm summer days. They are very comfortable to wear all day. 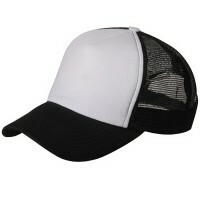 Trucker Hats are designed to look like hats worn by baseball players but they come with different styles and designs. For ladies out there, floral Ball Caps are not only comfortable but also looks very dainty with its pastel color and floral designs. Since Trucker Caps can be worn by people from all walks of life, young kids can also wear the youth Designed Caps were made to fit the head of young wearers perfectly.